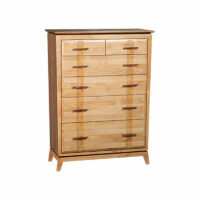 Made from American Alder and Black Walnut hardwood veneers with a Duet finish. 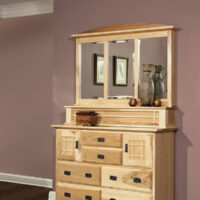 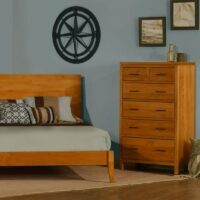 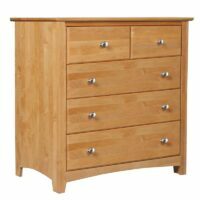 The all wood seven drawer Alder Shaker Bedroom Chest is made with true Amish craftsmanship. 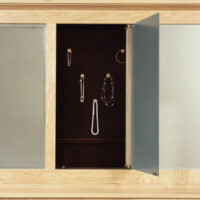 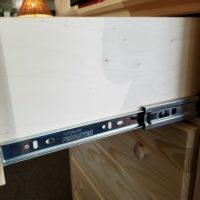 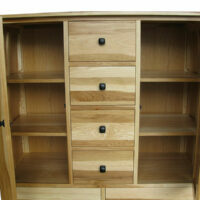 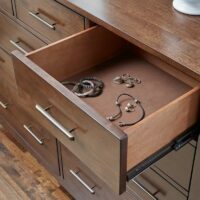 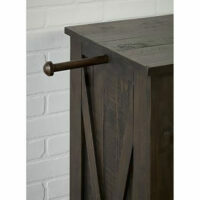 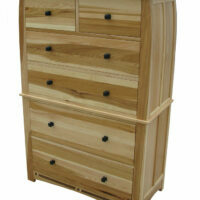 The drawers are made using English dovetail jointery and full extension ball bearing glides. 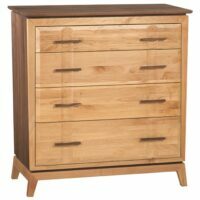 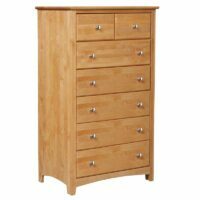 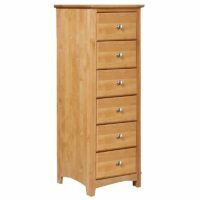 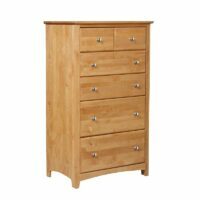 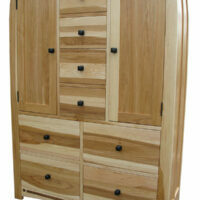 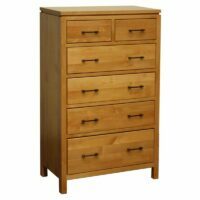 The all wood Alder Shaker Bedroom Chest has five drawers. 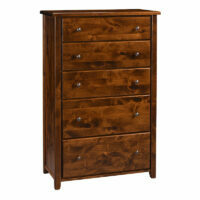 It’s slightly wider than most chests and is made with true Amish craftsmanship. 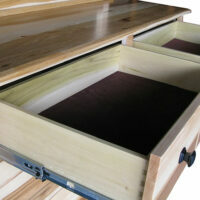 The drawers are made using English dovetail jointery and full extension ball bearing glides. 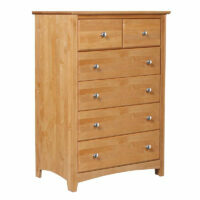 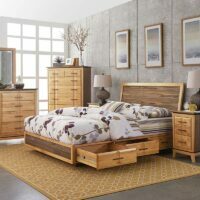 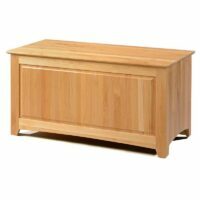 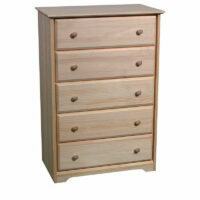 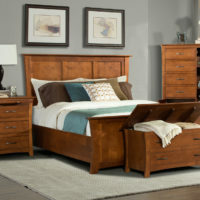 The Alder Shaker Bedroom Chest with Blanket Drawers is made from solid sustainable American alder. 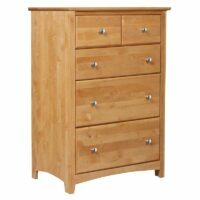 It features two big drawers that are perfect for quilts, linens and bedspreads. 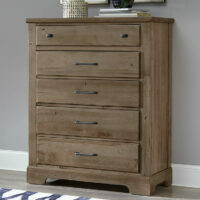 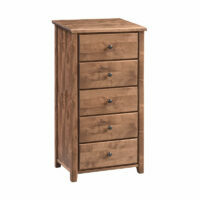 This solid Knotty Alder chest features whisper quiet drawer glides! 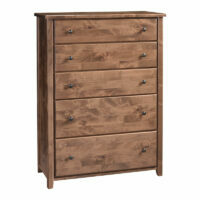 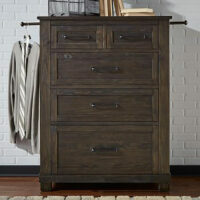 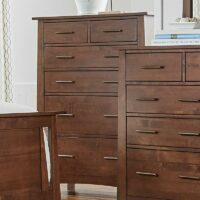 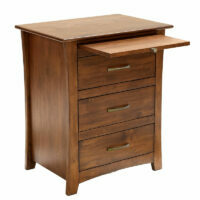 This solid Knotty Alder lingerie chest features whisper quiet drawer glides! 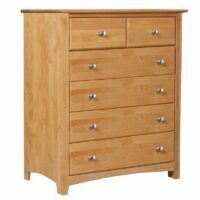 This solid Knotty Alder master chest features whisper quiet drawer glides!